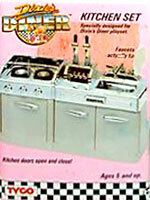 Dixie's Diner was produced by Tyco in 1988-89 and was a 1950's style diner. 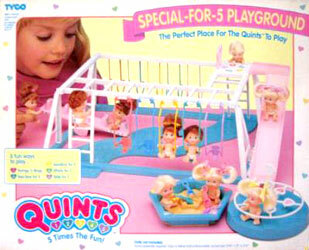 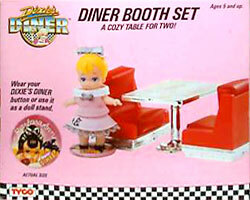 Along with the main Diner playset there were several additional items which were sold separately to add to the diner. 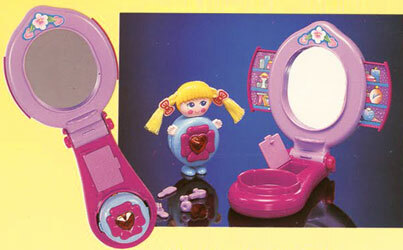 There was also eleven poseable figures produced as well as a VHS cartoon. 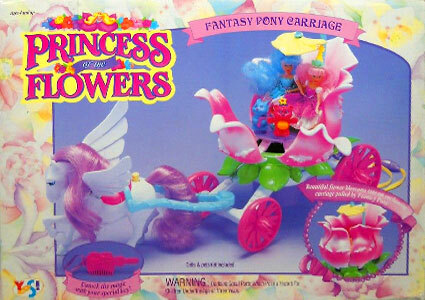 Images on this page thanks to sellers on various sales sites, including eBay ! 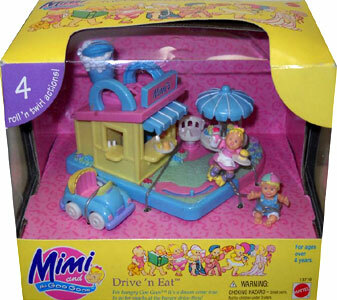 View all Dixie's Diner on eBay.com or eBay.co.uk ! 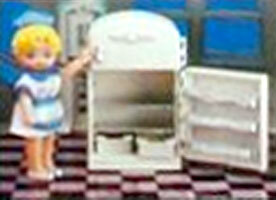 Dixie's Diner playset was basically an empty shell waiting to be filled with all the separately available accessories. 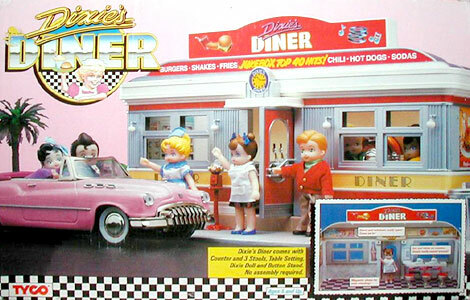 There were seven accessories produced to add inside the diner, plus two versions of a convertible car to park outside. 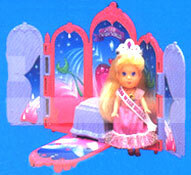 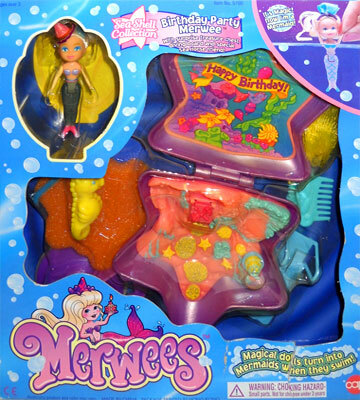 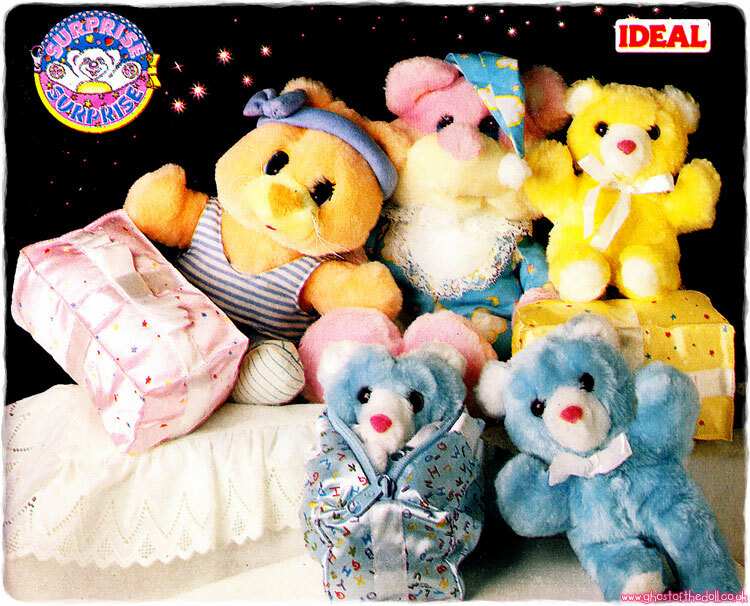 Four of the accessories came with dolls. 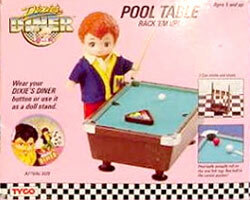 "Collect, dress and pose all of the Dixie's Diner Kids!" 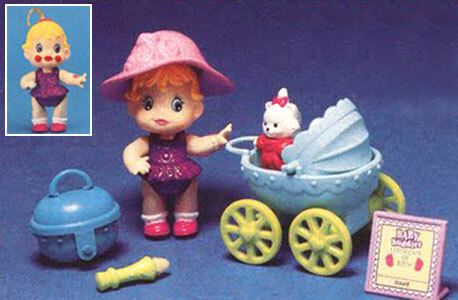 There were eleven dolls produced. 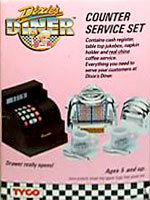 Dixie came with the main Diner playset, and the others were either sold separately or came with selected diner accessories (see above). 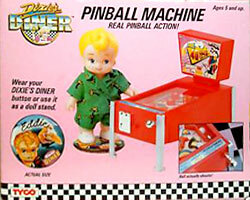 Bobby and Patty must have been later additions as they don't feature on any of the packaging images. 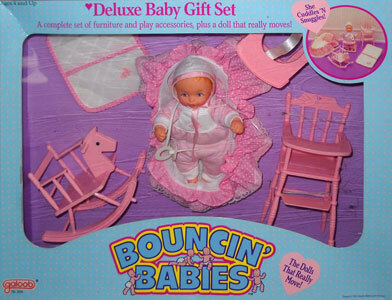 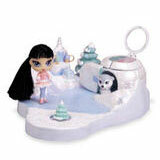 Each doll came with clothing and a doll stand that doubled as a button which could be worn. 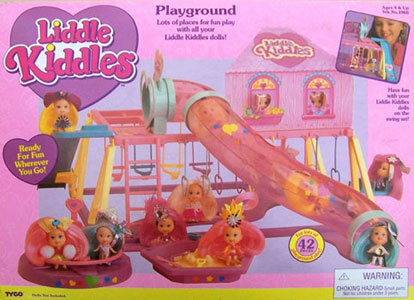 The dolls were about 3 inches tall and had moveable heads, arms and legs. 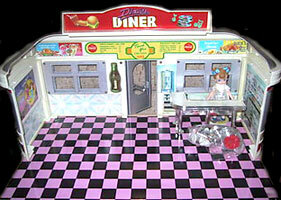 "Come on down to Dixie's Diner and enter a whimsical world of laughter and fun. 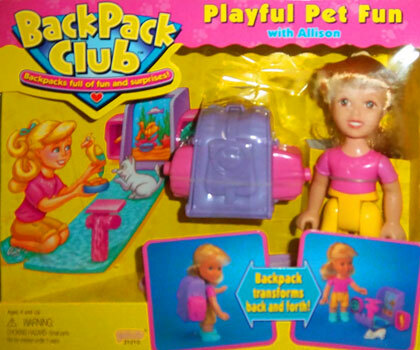 A world where every kid can live out their wildest, most hilarious dreams. 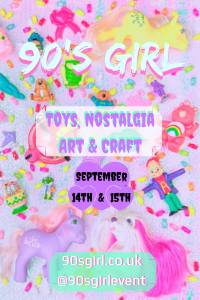 Where you can dance as long as you want, sing as loud as you want, and feed your face on an endless supply of chocolate shakes and sundaes. 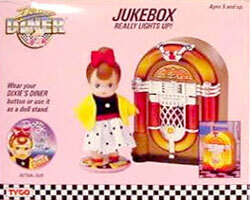 It all spells fun and romance with a CAST of frisky loveable and talented Rock 'N Rolling kids. 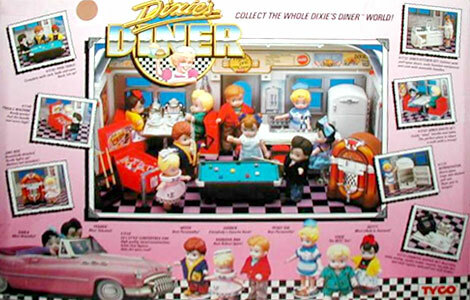 Dixie's Diner. 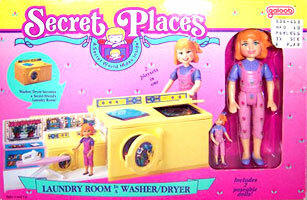 You're going to love this place!"